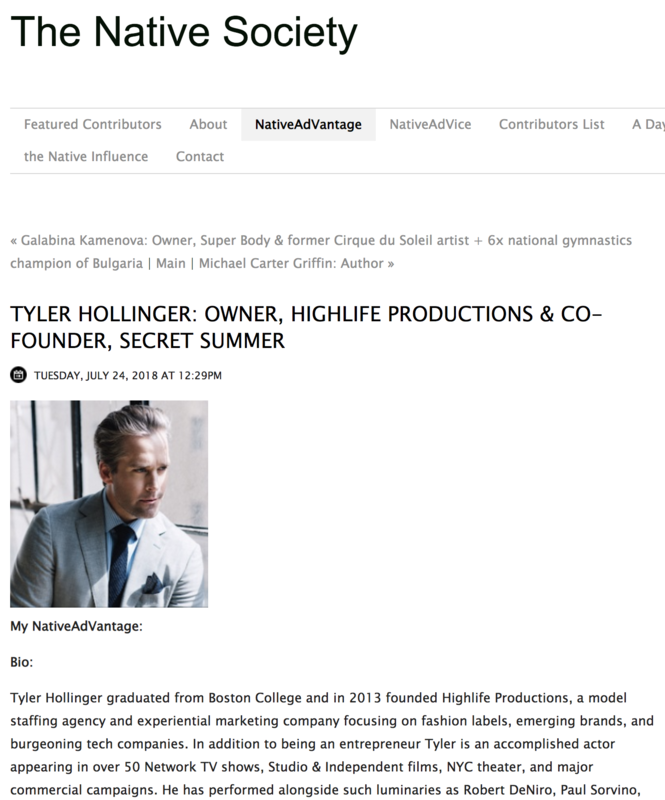 AM NY interviewed Tyler Hollinger about the Aquarius festival’s sustainable seafood. “Sustainable seafood isn’t on the minds of people the way it should be,” Co-founder Tyler Hollinger says. “The secret is out, and next summer you won’t want to miss it. “Secret Summer returned for a 2nd year this past weekend and certainly came back with a bigger bang!! There’s no better way to close out the summer than with a party. 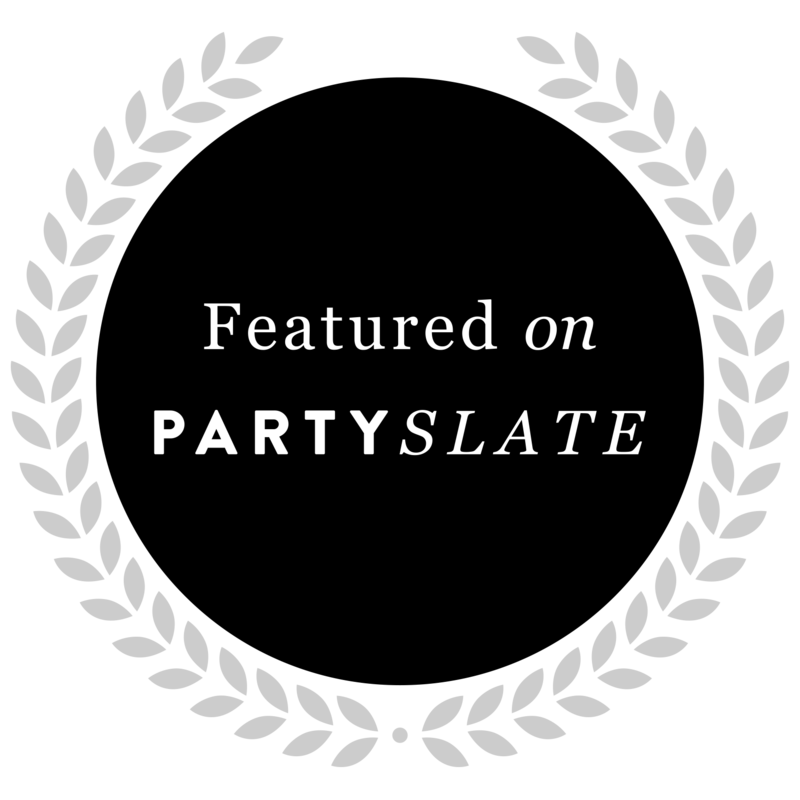 In Long Island City, that’s just what happened — but with a more exclusive (and spirited) twist. 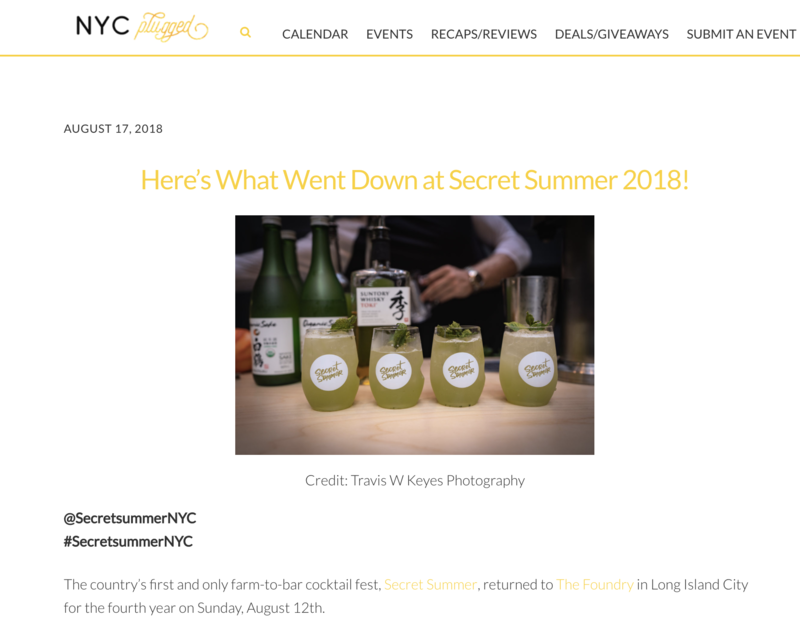 Secret Summer is a popup event boasting farm-to-table food and cocktails. And today, we open the doors for you, our plus-one. 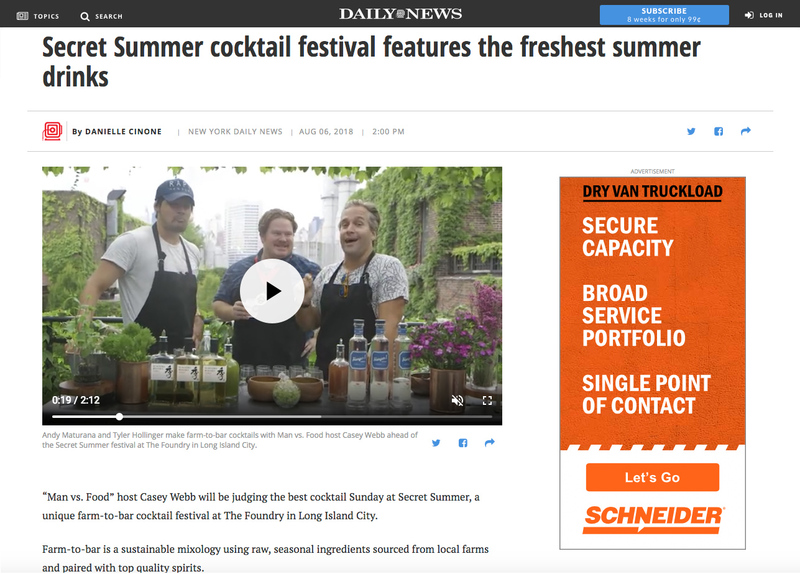 In this On Foodable Side Dish, brought to you by the Foodable WebTV Network, Foodable NYC video correspondent, Colleen Hagerty, is joined by Mixologist Andrew Maturana, who explains the development of the event’s farm-to-bar beverage program and what in-season ingredients he is most excited about. On the other side of the plate, Chef Varon Barrio-Carrillo explains what’s being served food-wise, and why the New York dining scene is in need of more “local” flavor. 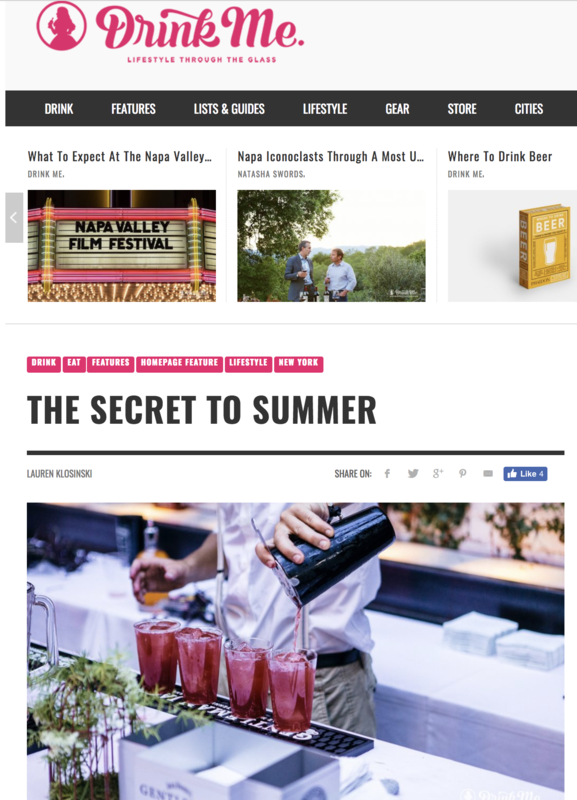 As summer wraps up, we reflect on the season’s benefits: barbecuing, dining al fresco (no matter what city you might find yourself in), cocktails on the patio, and summer festivals. 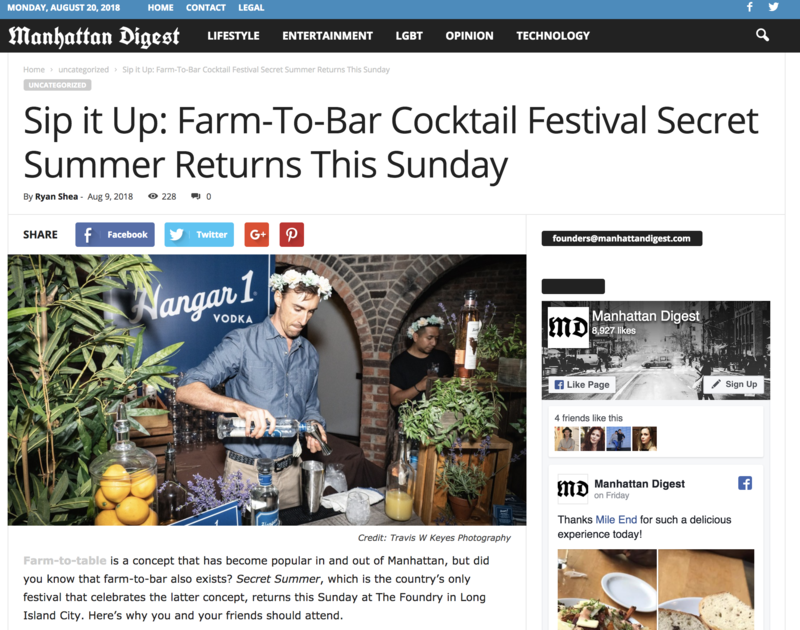 The latter two were brought together at NYC’s Secret Summer event, a cocktail festival popup on Long Island. 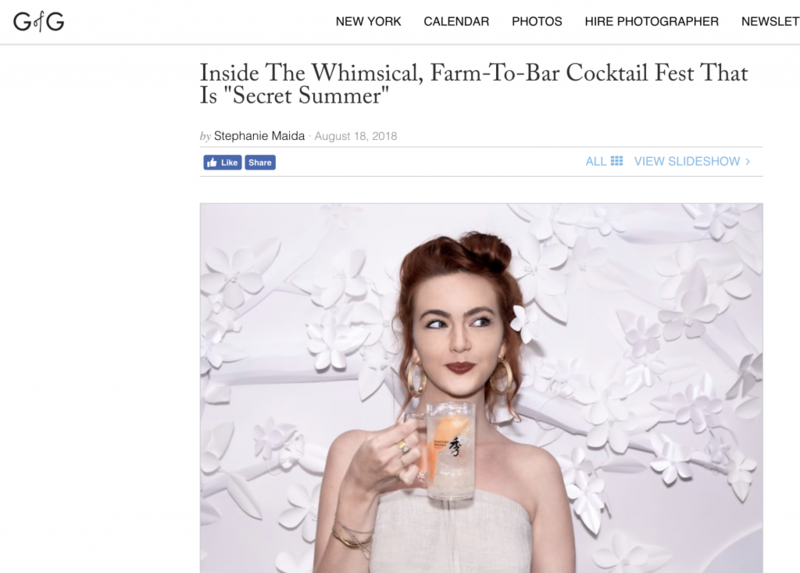 But as it goes, some secrets aren’t meant to be kept, especially when they involve larger-than-life theatrics, live music, locally sourced food and farm-to-bar cocktails. Get a sneak peek in the video above as Foodable Video Correspondent Colleen Hagerty takes us into flavor euphoria. Everyone loves a good party, but it’s even better when it’s full of surprises. It’s this spontaneity that made Secret Summer so charming and memorable. The whimsical garden cocktail party was held at The Foundry on Sunday, August 2nd, where guests wearing their summer best were mingling amidst mischievous performers breaking out into song and dance. At first glance, it seemed like any other summer soiree, but not everything was what it seemed, and while curiosity killed the cat, here it paid to open Pandora’s Box. 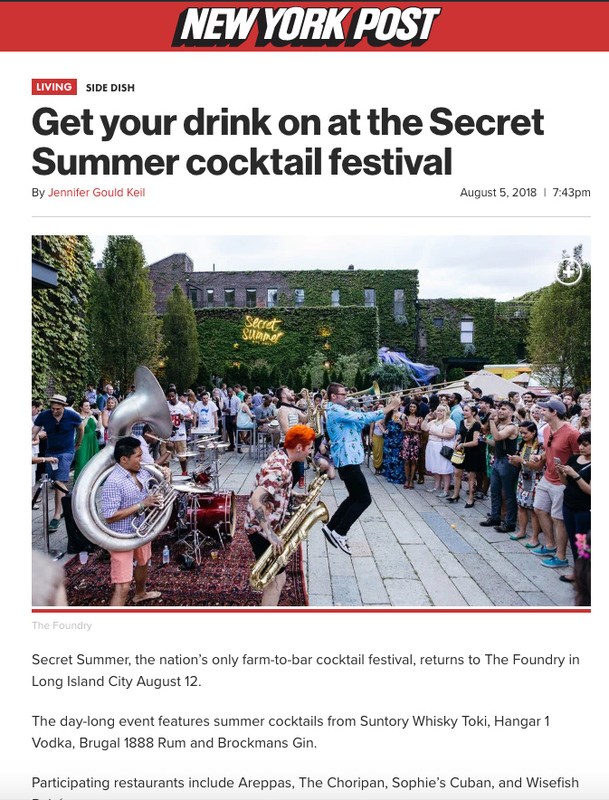 On August 2nd, The Foundry in Long Island City was transformed for the Secret Summer NYC cocktail festival. 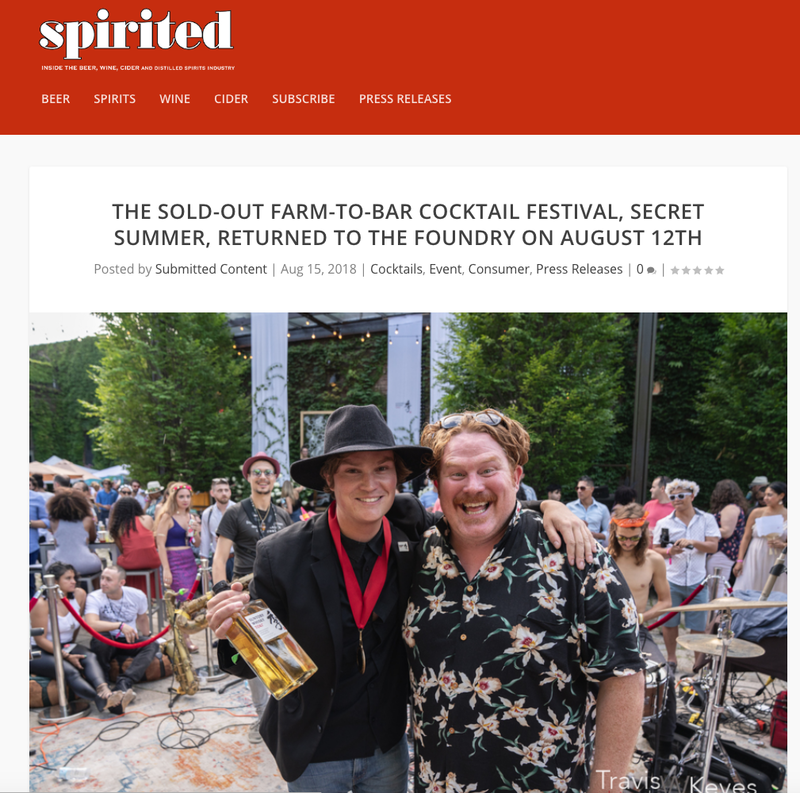 Concocted by Rapt Affairs Boutique Events and HighLife Productions, the event made you feel like you had stumbled upon a hidden magical courtyard. Fairies greeted you at the door, applied branded flash tattoos and escorted you inside the indoor/outdoor space. Additional characters that looked like they could have been from Neverland, danced among the crowd and others recited Shakespearean prose. Mini bottles of bubbles were handed out to attendees so they could add to the ambiance. Sunday afternoon brought us a taste of what we love about summer. 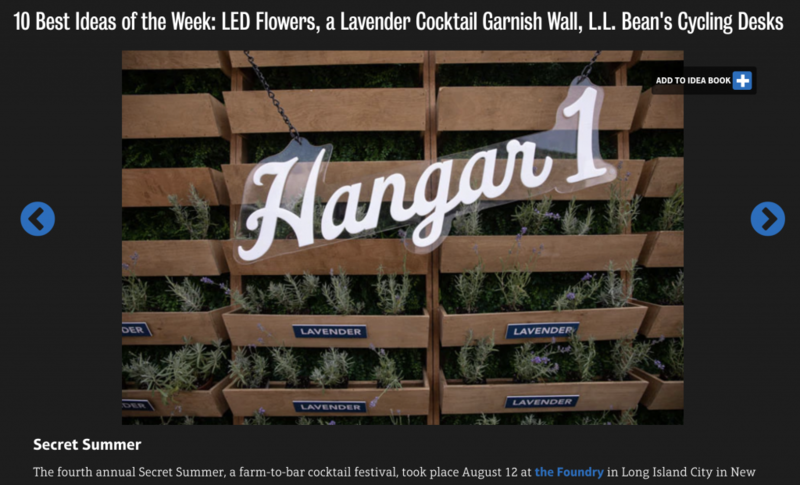 Between the beauty of the outdoors, refreshing cocktails, fresh food, a little theater, and some good company, the only place to be absorbing all of this goodness was at the Foundry in Long Island City. 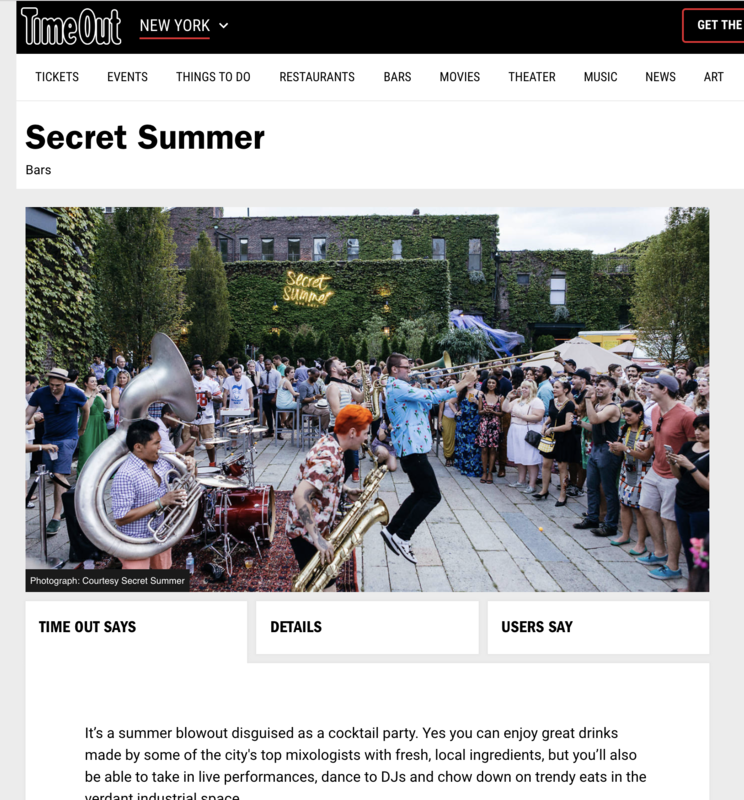 Secret Summer is a brand new festival, designed to highlight the wonder of theatrical art as accompanied by class and style. The dress code was “Summer Chic,” so the outfits were light, fun, free and flowing, which fit right into the Midsummer Night’s Dream theme of the party. HighLife Productions, Rapt Affairs and The Foundry teamed up to create an absolutely unforgettable experience in the mystically decorated venue. Décor by Patina did a great job of adding culture and richness to the already alluring space.